Following our clients completion on a property purchase in London, Kenwood were called in to rectify a problem of rising damp. 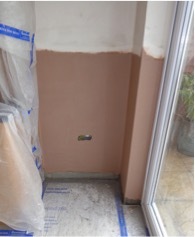 Dampness was affecting various walls within the property due to a defect in the original damp proof course. 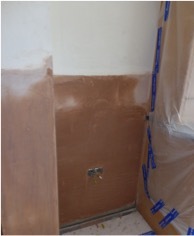 This installation involved the use of our time proven chemical damp proof course which is injected under pressure into the mortar course to form a new damp proof course. As an extra level of protection, and to overcome the problem of masonry ground salts, when we replastered the walls which included waterproof additives to give a complete remedy for rising damp.